The Australian Community Network is one of the world’s largest geographic super portals and services more town and regional name websites than any other single entity for Australia. 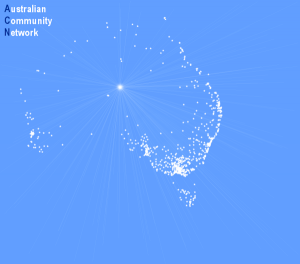 Thanks to the support of business from the regions this unique and comprehensive platform of Australian geographic town portal style websites are being recognised as relevant and useful community, business and tourism resources that will constantly evolve and grow. Hairy Wombat Media is a network affiliate and is licensed to get your business listed in these directories as part of our website packages.